HOAX- An Indian Soldier beheaded 2 Pakistani Soldiers without Order from Seniors, so was Court Martial. Spread this like fire to make him a Hero. TRUTH- This image is from a Play by Mr. Arvind Gaur and the Soldier is an actor. This is a clear case of making fool of and misuse of our sentiments for our nation where we blindly share. 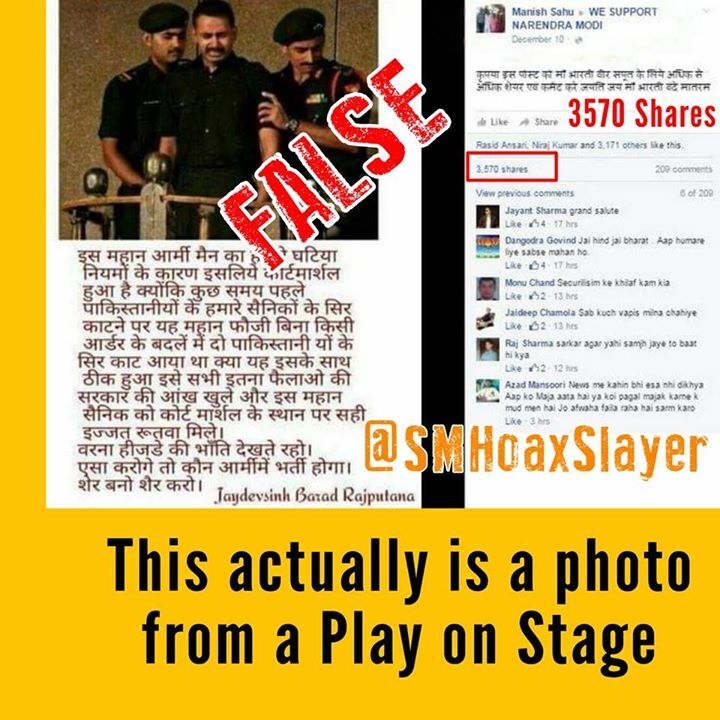 We are proud and do have utmost respect for soldiers facing bullets on chest but we shouldn’t spread lies/false news.